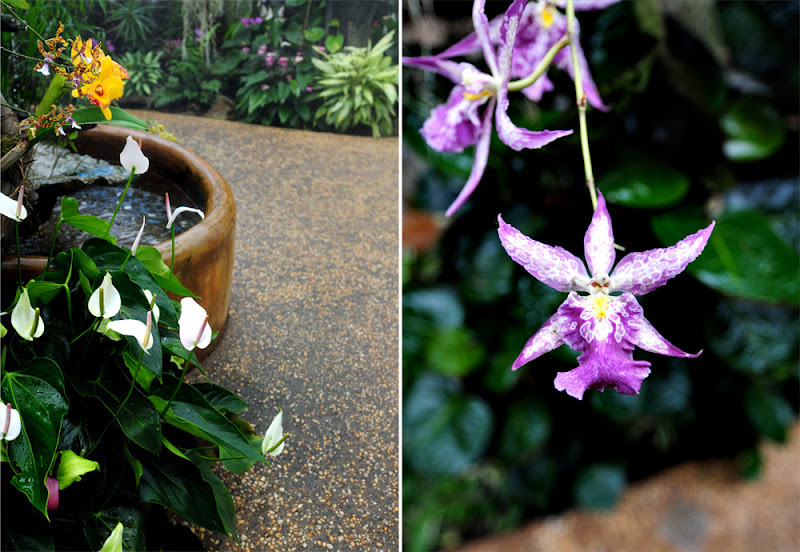 The orchids are beautiful. Doris Duke's name sounds familiar, maybe I've seen a movie they made about her life. Lovely photos! Oh, goodness! I love orchids! Beautiful!!!! Stunning photos Mary! I saw the movie about Doris Duke's life many years ago. so beautiful. We have nothing like this near where I live - so thankyou for taking me there. However we have been out looking for wild orchids lately - so lovely to see them in their native environment. Have a wonderful week, and thank you again for hosting Mosaic Monday. 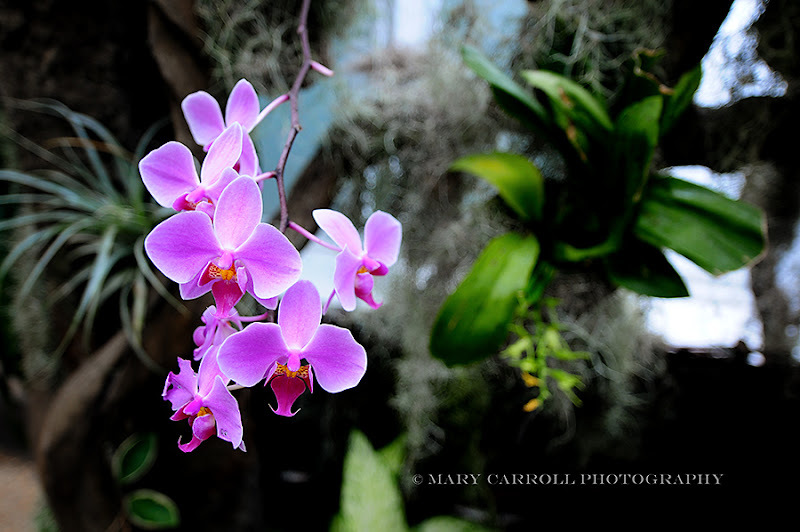 The orchids are gorgeous Mary! Thanks so much for sharing these and for hosting Mosaic Monday. You photographs are truly amazing. I have been to Duke with my friend who lives in Hopewell. It is truly beautiful, but your photographs make it look even more glorious. Happy Monday. 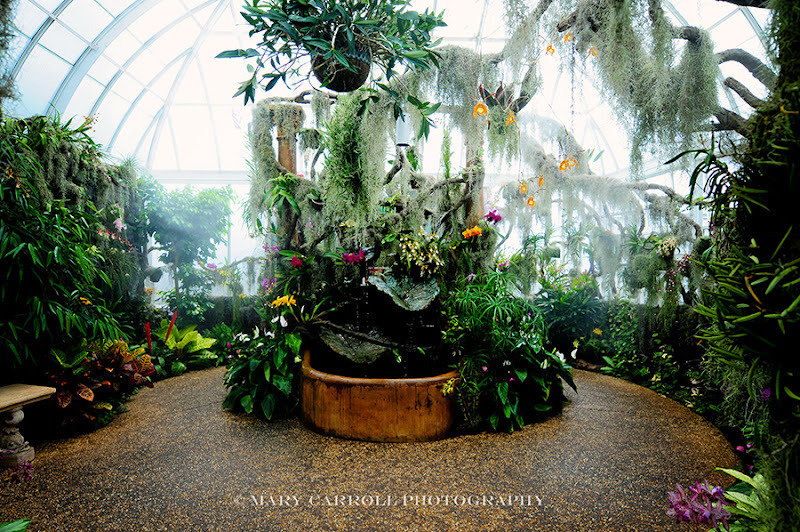 You photographed some gorgeous orchids Mary and the conservatory itself is a sight to behold. There are so many varieties of orchids! You took some wonderful photos! Happy Monday! What gorgeous images! Orchids are a great house plant for me. One of the few things I can depend on. This looks like an amazing place. What gorgeous orchids Mary. Thanks so much for hosting. How exquisite those orchids are! I purchased my very first one this past spring and it did surprisingly well in the house. Thank you for showing these beautiful things! Such lovely shots. The sky behind the green house was just amazing. I can't wait to see the rest of the photos. You find such beautiful places for us, Mary! 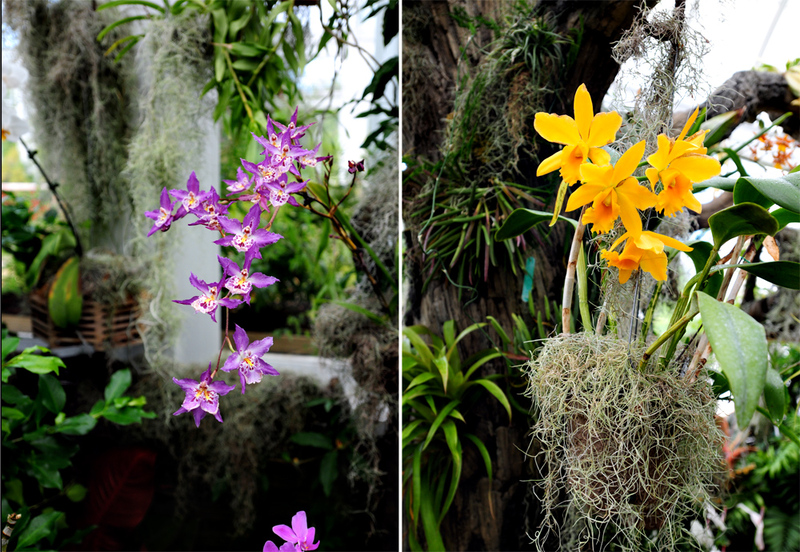 what beautiful orchids...How I love their spectacular blooms. I lived in Hawaii for a number of years and got very spoiled. 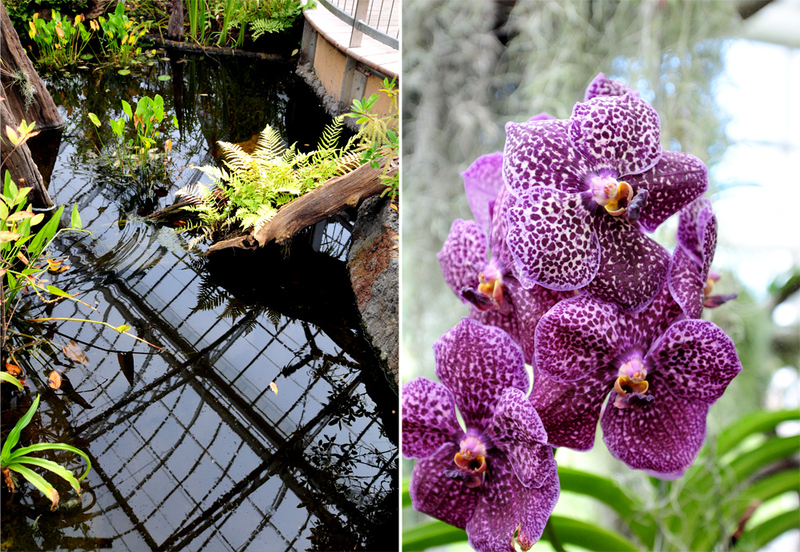 The tiny Vanda Orchids were my favorite lei flower. I now live where it snows often throughout the majority of the year...Your elegant photos refresh my spirit! Exquisite photos of the orchids. So lovely. Thank you for hosting. 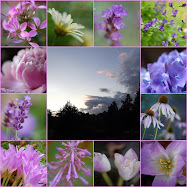 Such wonderful orchid photos/collages. Beautiful pictures! This looks like an amazing place to visit! Oh I have to visit here! 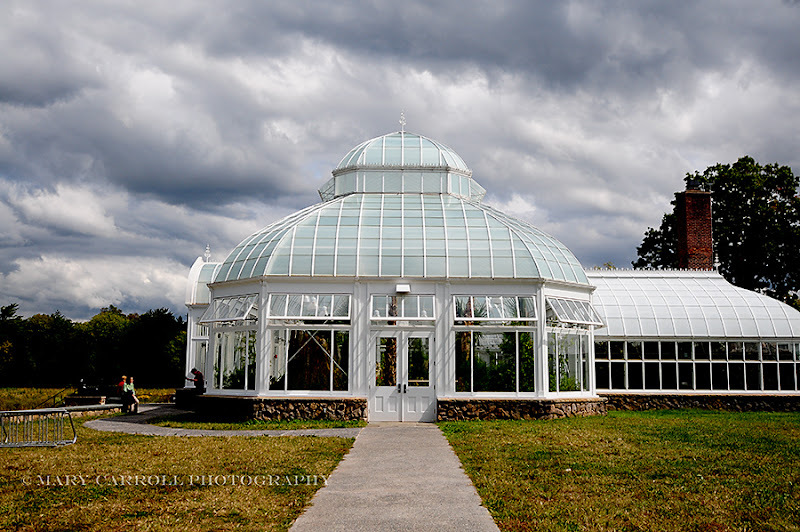 I've passed Duke Farms often, on my way to Princeton, but have never stopped there. It's so beautiful -- inside AND out. Love orchids. I can keep them going for months, but so far, no luck in getting them to dish out more blooms after the originals croak. Rain today. But nice tomorrow! I have only ever owned one orchid....and it was gorgeous, a precious gift........and it seemed like it was floundering so I repotted it. And it really started dying......not until my daughteer moved back from San Diego did I learn I was suffocating the poor thing, I had NO idea that the roots are supposed to be outside. Poor thing. She tried to save it for me, but couldn't. Who knew? If I am ever given another I will definately know better next time. TY for hosting your wonderful weekly linky party.